If you've recently adopted a cockapoo dog (a poodle mix between the American Cocker Spaniel and Poodle), the bathing schedule is one of those things you'll want to plan soon. How often should you bathe a cockapoo? What color is your cockapoo's coat? The color of the fur on your dog can play a deciding factor in bathing frequency. White or light-colored dogs tend to look dirty faster than others and may need very frequent baths to stay clean. What size is your cockapoo? Smaller dog breeds, like the toy cockapoo, tend to get dirty faster because they are closer to the ground. If you find that your cockapoo is getting dirty during most walks, you should increase the bathing frequency. How thick is your cockapoo's coat? The thicker the coat, the more frequent bathing should be. Thicker coats tend to get dirty faster and hold more dirt. They also get tangled faster. Because the cockapoo genrally has curly hair, it can get easily matted. Frequent bathing and brushing can help reduce the chance of that happening. What is your cockapoo's outdoor environment like? If your cockapoo is taking walks along dirt trails, romping in the grass, or rolling around in a sandbox often, frequent bathing is necessary. On the other hand, if your cockapoo is walking on fairly clean walkways and doesn't care to romp in the grass or dirt as much, bathing may not be quite as frequent. Should you bathe your cockapoo at home? In many cases, this is mostly a personal preference. Some owners enjoy bonding with their pet during bath time. Others may prefer to leave it to a professional. Does your cockapoo enjoy bath time? If so, you may want to consider bathing at home. If not, it may be beneficial to leave it to a professional to avoid having your dog associate an unpleasant experience with you. Frequency can also play a role in this decision. Dogs who need more frequent baths are probably better off doing so at home. Cockapoo dogs come in more than one size (usually standard, miniature, and toy). Cockapoos can be bred by mating a cocker spaniel and a poodle or by mating two cockapoos. The cockapoo breed was created by accident but is now purposefully bred due to its popularity. 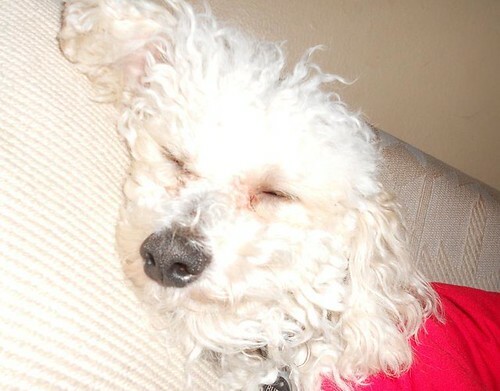 If you are looking to adopt a cockapoo, check with your local shelter or rescue for poodle mix dogs. They can often be found there.